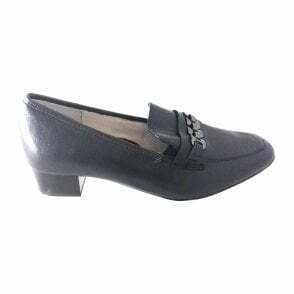 A stylish ladies loafer by Ara. 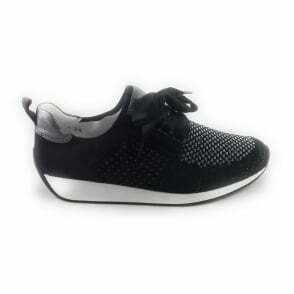 The black patent upper features a pewter chain trim and cushioned insole for maximum comfort. 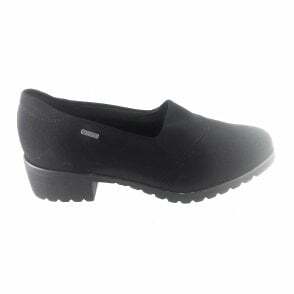 This slip on shoe looks great teamed with tailored trousers or skirts.